Masai Mara is one of the most popular parks located in the southwest of Kenya.Mara is known for its massive herds of wildebeest and Zebras moving through the park from July to October for the Great Migration. 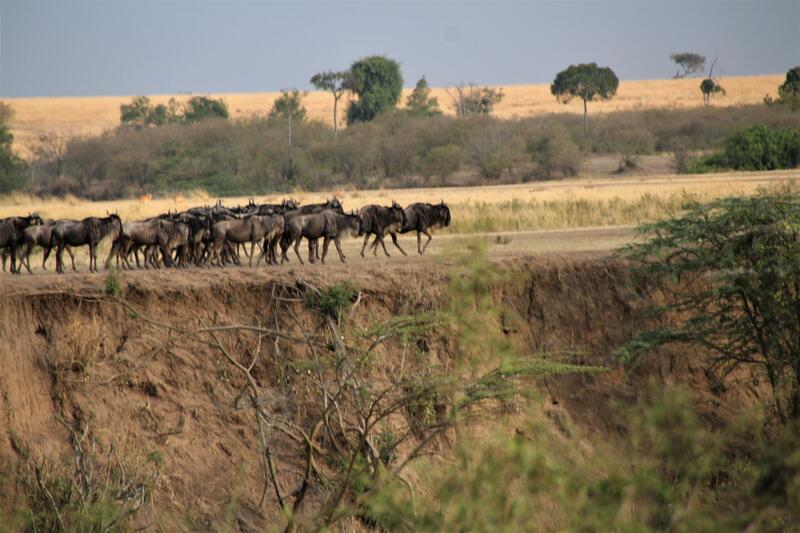 It is known that there are are more than 1 million wildebeest population that crosses the Mara River during migration. It is a part of the greater Serengeti Mara ecosystem and shares a border with Serengeti National Park in Tanzania. 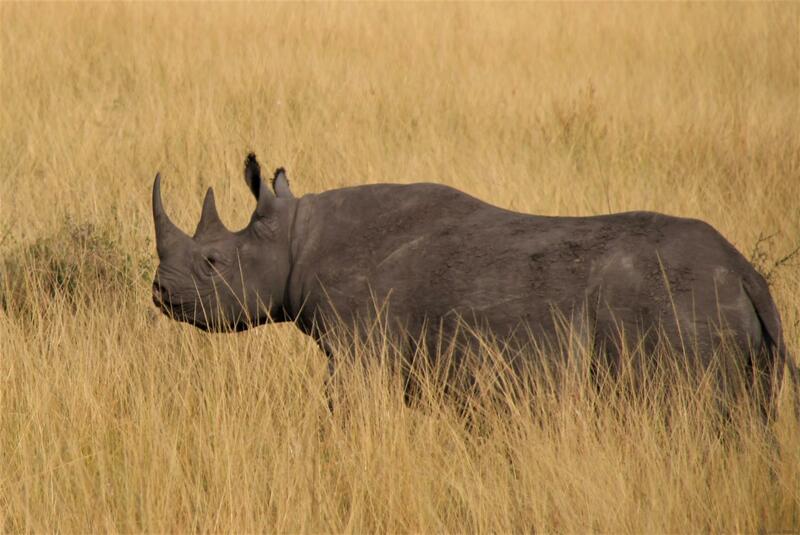 Masai Mara was our last destination in African Safari itinerary and we have still not seen the Rhino and migration. 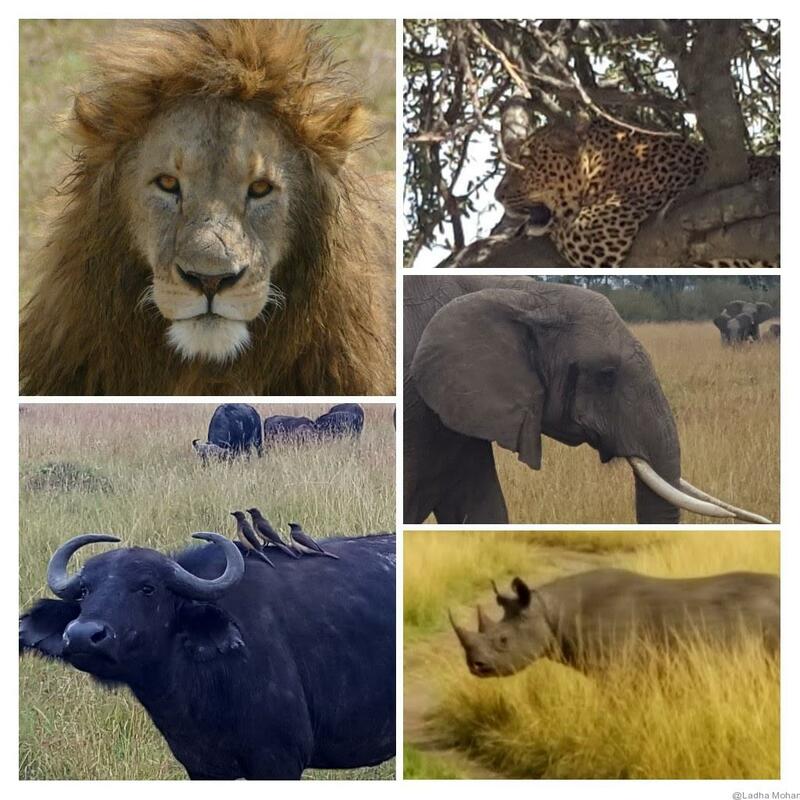 We travelled from Serengeti towards Masai Mara and was so much looking forward to complete Big 5 ( just one pending Rhino) before we wrap up our Safari trip. The drive was around 2 hours to Tanzania border, completed our exit formalities before entering Kenya again to see the Mara. Our Kenya travel guides were waiting for us and we decided to go straight to the Masai Park and do game drives instead of going to the hotel. 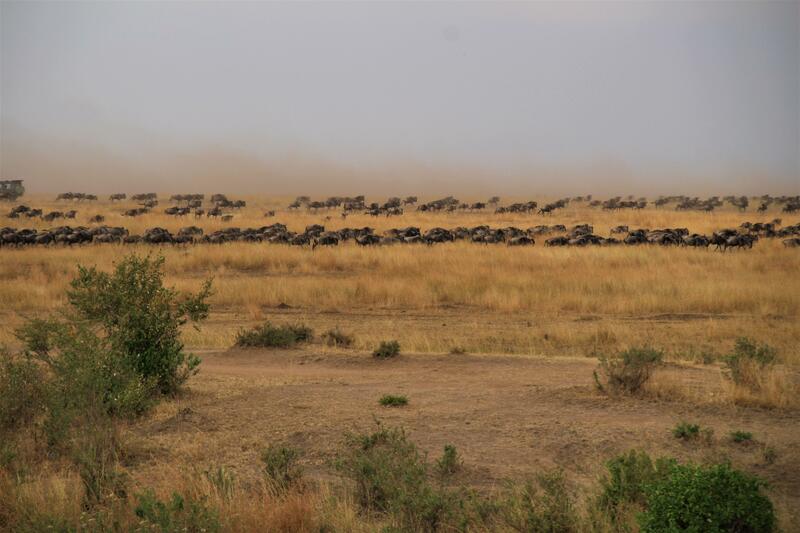 Since we had only 1.5 days in Mara, we wanted to maximize our wild-life viewing and see the migration. I must say that Masai Mara has such a beautiful landscape and one of my personal favorites. Out of all the parks that I have seen in Kenya and Tanzania, Masai Mara is the best. The terrains are very unique in Mara and has open grasslands, swamps, thick acacia trees ,so much of lush green environment everywhere and filled with Mara River that adds beauty to this place. Masai Mara forms only a very small section of the Serengeti-Mara ecosystem.This park is part of the Great Rift Valley and the scenic routes of the Rift Valley is a great sight. 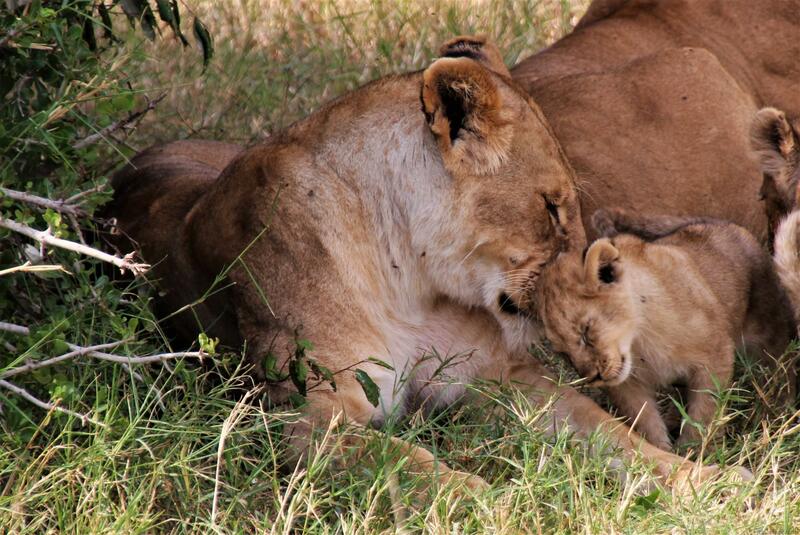 Masai Mara is the place where you can all of the Big Five animals. We were on the look for Rhinos and did not have much luck on our quest for searching them in Ngorongoro and Serengeti. As most of are aware that Rhinos are getting into the endangered zone and are under frequent threat. So the chance of seeing them is going to be difficult in future for the next generation. Our driver was super knowledgeable about the park and tired different directions within the park until we spotted a Rhino. We stopped our jeeps and watching the Rhino so close was an awesome sight – Our Mission got accomplished seeing the Big Five!! 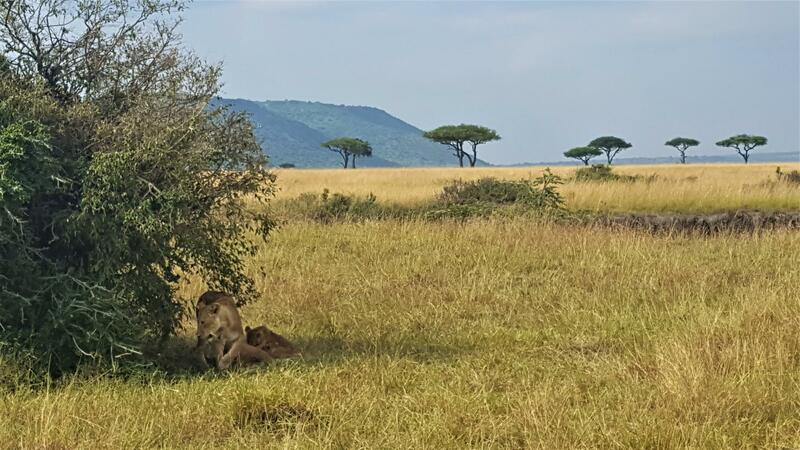 When it comes to cats the park is well known and we came across prides of lions, lion with their cubs relaxing under a bush, cheetah and tree leopard in less than a day time. The access to animal population in Mara is so much available that you can spot them slightly easier when compared to other parks.Bird population in Masai Mara is equally abundant here and there are so many species available here. We spotted ostrich, crane, vulture, falcon and some of the names that I am not aware of. 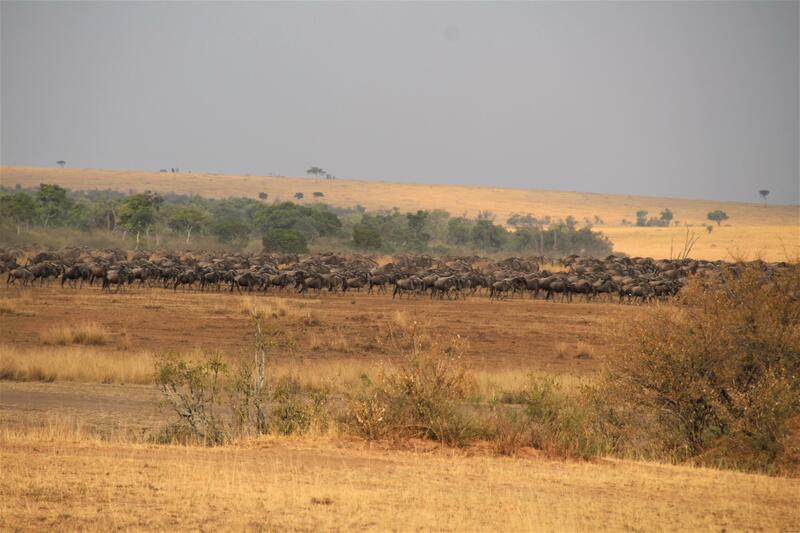 Great Migration is one of the most spectacular sights that visitors coming on a Safari trip would want to do in Africa. What is Great Migration?. Every year, massive herd of wildebeest, zebras and topis migrate for food and water between Kenya and Tanzania. When I say massive herd, we are talking about millions of wildebeest participating in the migration. During the migration, these animals move between Serengeti and Masai Mara in wild rush. Since the number is so huge, it is a great sight to watch them running in a mad adventure to cross the river. The migration arrives in the Masai Mara around the beginning of July and around October. We were in the last week of July and could not witness the full sight of the migration. We stopped our Jeeps near the Mara river to catch the glimpse the migration. There were crocodiles in the river just ready and waiting for the animals to cross. To our surprise, we saw wildebeest coming in large groups towards the river – all of our cameras were all ready and everyone’s eyes were focused towards the wildebeest. As time went by, we saw more and more wildebeest’s and zebras in groups and there was no point counting them :-). 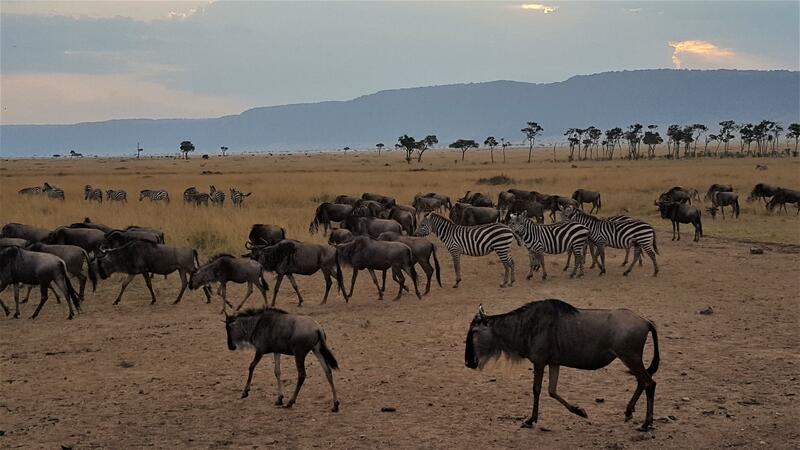 The wildebeest walked in a line and some of them ran followed by Topi’s and Zebras. More Wildebeest joining the action.. Since the migration is one of the important attraction, you will see a lot of crowd and sometimes this could be a distraction for the animals. The animals approached the river but it was very high for them to climb down and they were confused. If they walked a few meters down, the pathway was less steep and they could have easily crossed the river. 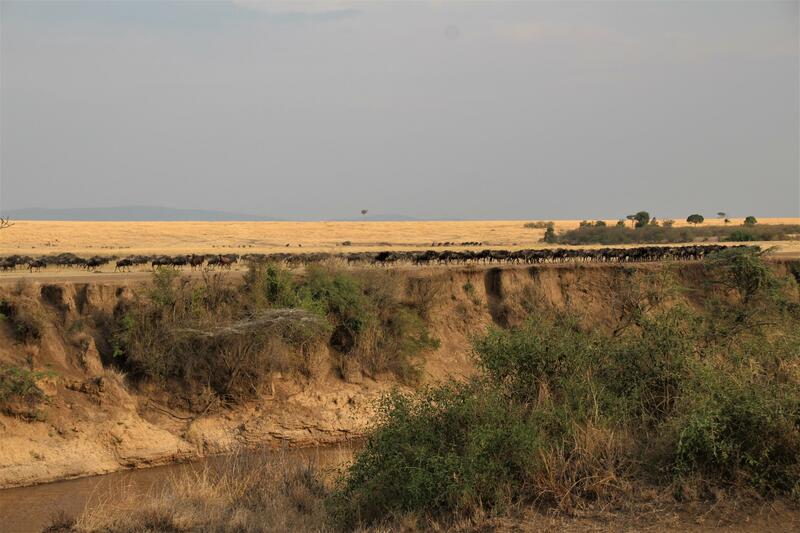 Wildebeest halted near Mara River – Thinking really hard..
At the same time, it was not safe for them to cross due to the predators waiting for them in the river. We spent more than 2 hours each day at the same place to watch this sight but the animals were not prepared to cross due to the river conditions. While we could not see the wildebeest crossing, I was happy to see the huge count of the animals walking down to the river. 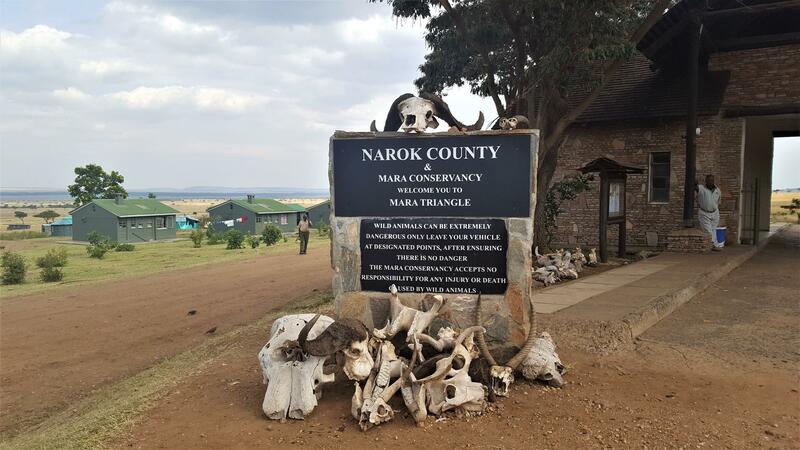 We stayed at Mara West camp that is 7 Kms outside the park. 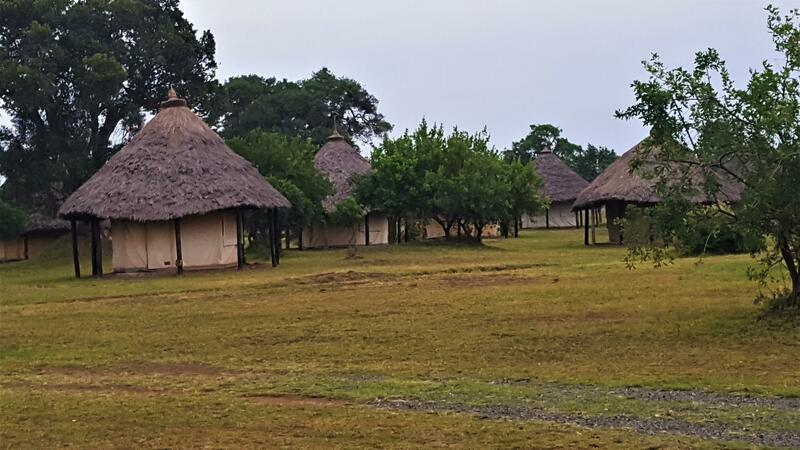 The camp is remote and located on the western edge of the Mara park. We had a great stay at Mara West and our chalet was awesome with the most gorgeous view of the savanna. We were able to get a glimpse of the hot air balloon rides from our Chalets. Just like any of the camps, Mara west is also wide open to animals and is not fenced. The security is provided by their team during the night escorting us to our rooms after dinner. There were zebras, elephants grazing at the back of the chalet and sounds of the animal in the night has been an usual routine throughout our Safari. The quality of the chalet was luxurious and we cannot expect more than this especially a camp located that remote. We had custom food prepared by our Chef and the camp had separate dining rooms for vegetarian groups. Except for the distance, I would definitely recommend this place. We were not clear about the migration activities at the time of our trip planning and took a decision to stay in Serengeti extra night to watch the migration. So we reduced a night in Mara and spent around 1.5 days. Though we were able to see Big 5 and some parts of the great migration, I wish we stayed little more in Masai Mara. 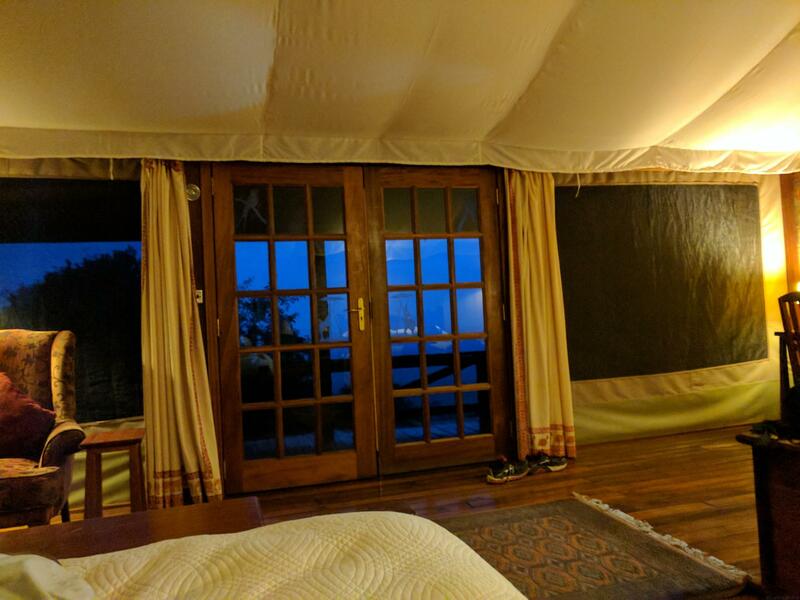 I would recommend to do a full 2-3 night in Masai Mara. 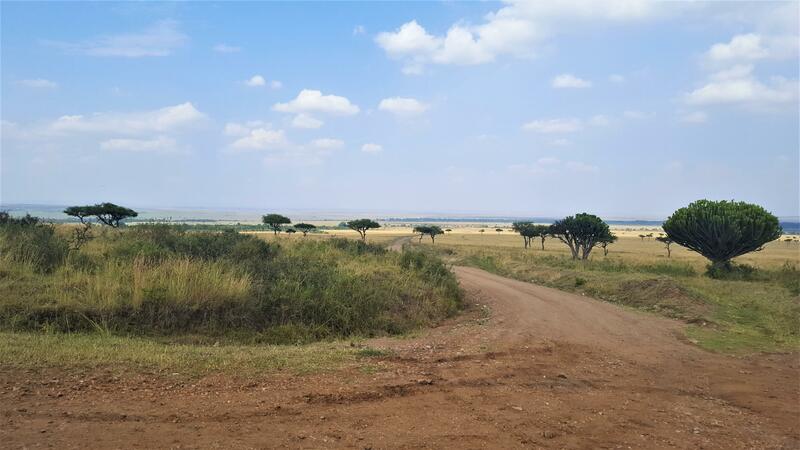 2 Responses to "Masai Mara – A Travelers Paradise"
Thank you pushpendra !. Appreciate your comments.